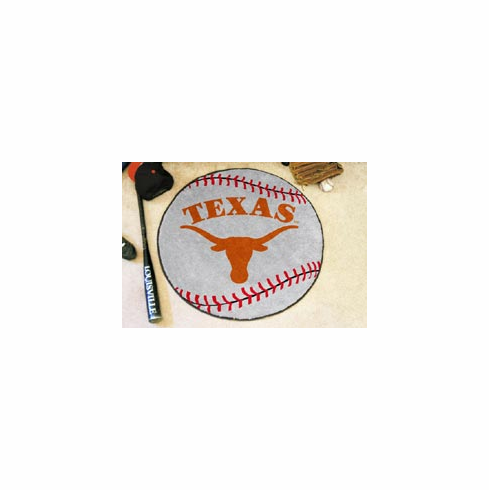 These 27" round baseball shaped rugs are perfect for just about anywhere in your dorm room, home or office. Your favorite collegiate team's full-color logo is woven into the high-quality tufted mat. Backed with non-skid Latex and finished with hand-serged edges. Over 225 schools available. Made in the USA.